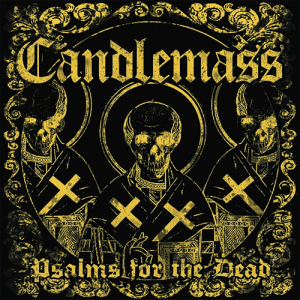 The last album, PSALMS FOR THE DEAD, released on austrian label Napalm, contains 9 new spinechilling tracks. The deluxe versions of the lp got an extra two track 7” single + exclusive artwork + 5 postcards. All the different cd versions of the album will come with a poster if ordered though the Napalm mailorder. 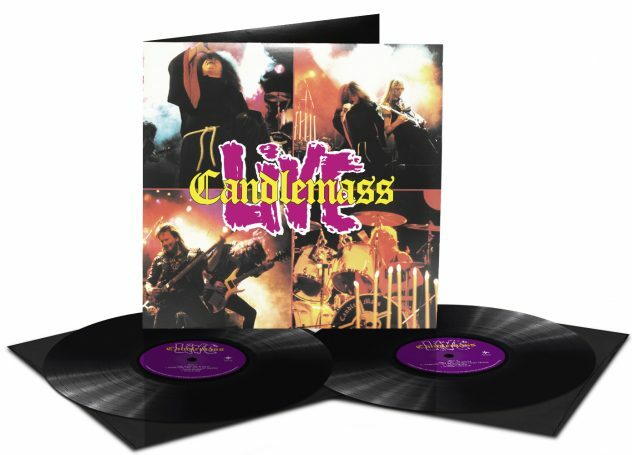 The cd bonus dvd contains footage from the recording in stockholm + filmed material from the bands trip around the caribbean on the 70 000 tons of metal cruise. New album “PSALMS FOR THE DEAD” was recorded at Bauman Audio Media (B.A.M.) studios during 3 weeks in December 2011. 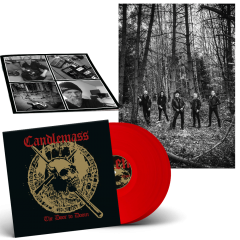 The band had been there two months earlier in October to record demos and try out new ideas, but since the Polar studio was not in operation anymore, Candlemass regrouped at B.A.M. deep in the woods of Orminge, just outside Stockholm. 11 songs were recorded in the first days. 9 for the actual album, + 2 more for a limited edition vinyl single (Sadness Runs Deep/Beneath the Fire). “Sadness” was first supposed to be on the album, hence the quality recording and mix, and “BTF” was an extra song that was recorded live during the pre-prod sessions in Cct 2011 (vocals and solo later added by Rob and Lars). “PSALMS FOR THE DEAD” is an album about the presence and absence of time. It’s about leaving, goodbyes and farewells….inner demons and false gods, like in “Prophet”, the crushingly brutal start on “P.F.T.D”. If that was the first track that was written for the album, “The Sound of Dying Demons” was the last one. Are your demons alive or are they not? “Dancing in the Temple” is the short and melodic one, inspired by Richard Dadd’s fantastic painting “The Fairy Feller’s Master Stroke” that Leif saw at Tate Gallery in London last summer. Mr Edling and Freddie Mercury…what a pair! “Waterwitch” is the last song on side A, and it features a nasty and LOUD little wah-wah operated by Lars Johansson. Nice! Side B starts off with C-mass going east…to “The Lights of Thebe”. A number about what a certain Mr. Crowley was doing under the pyramids of Egypt. Heavy and epic! Just like the title track “PSALMS FOR THE DEAD”. Spine-chilling vocals from Rob, and maybe the ‘pièce de résistance’ on “P.F.T.D”. You can take nothing with you when you leave…. And if you wanna hear what Jans drums sounded like during the recording, just listen to the first seconds of “The Killing of the Sun”. Very acoustic and “undamaged” by computers and samplings. And you can actually hear the room! Quite unique today! “Siren Song” takes us all the way back to the 70s. To the world of distorted organs and dynamic songwriting. Wild hammond played by Per Wiberg. Where are the flare jeans and hippie shirts? Don’t we all love the 70s?! 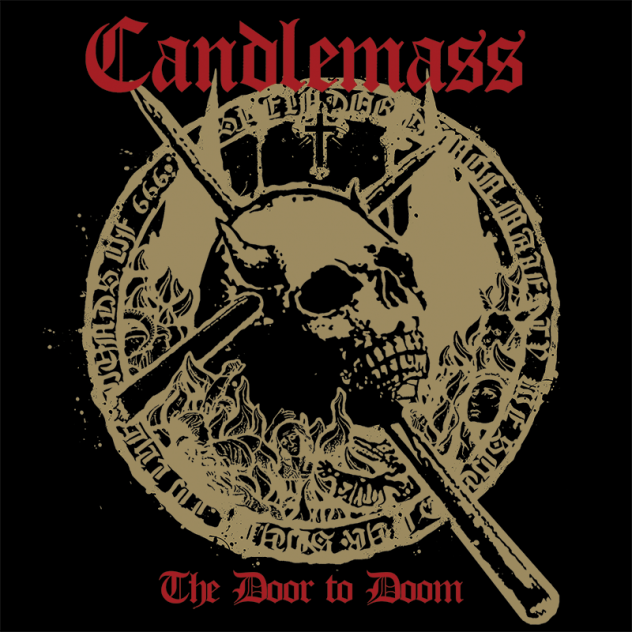 No CANDLEMASS album features so many references to influential bands as “PSALMS”! 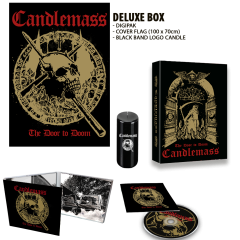 Rainbow, Purple, UFO, Sabbath, Heep, Priest, Angelwitch, Accept, Anvil, Pentagram, Trouble, are all alive here in the magic stew that is CANDLEMASS last album. But the namedropping doesn’t end there… Alice Coopers “Black Widow” and the Hawkwind boys Calvert/Moorcook were the inspirational sources for the opening narration on “Black as Time”, (done by Mark Roberton). Leif’s little concept piece about the curse of time. “TIME IS BLACK”!… Then Mappes freight-train guitar comes in and the song evolves to something very different….moog heaven, more spoken words, more guitars, and finally the spooky timepiece that counts our every breath and even the final notes played by the Swedish doomsters. Time is running out….